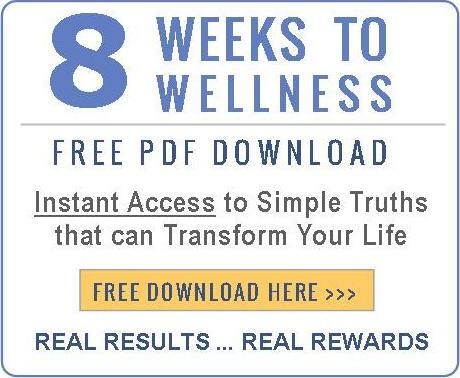 Pioneer Wellness: Have Free Radicals Taken Over Your Body? Imagine a music venue, darkly lit, foggy with smoke. The opening band sloppily takes the stage. You and the crowd suffer through the sound check before, finally, the lead singer shouts, “We’re The Free Radicals!” and they launch into the first song—an eardrum-slaughtering massacre of sound. There’s tension on stage when the head banging singer bumps into the guitarist, who pushes back. Singer throws mic. Guitarist throws punch. It’s a disaster. The Free Radicals are unstable, destructive, and are going to owe the venue a lot of money after tonight. With a name like free radicals, it’s hard to resist a garage band analogy to explain just how damaging the things can be. If left to their own devices, they will run amok within your body, but how? And what can you do to stop them? 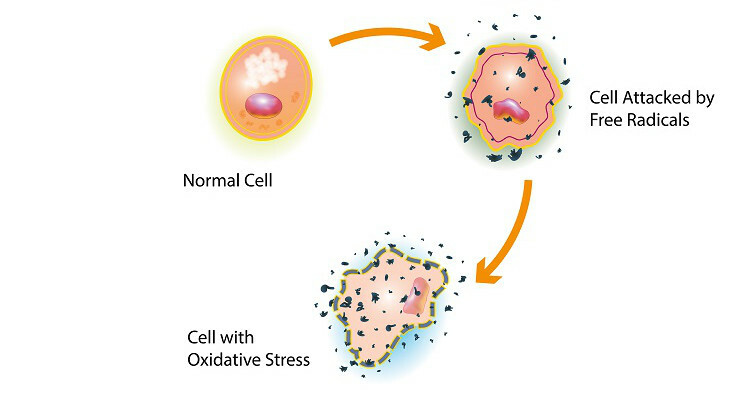 Understanding free radicals requires a working knowledge of cellular biology. Your body is a vast, spectacular labyrinth of many different types of interlocking cells, each with a job to do. Cells break down into molecules, molecules into atoms, and atoms into a nucleus with surrounding neutrons, protons, and electrons. Electrons are crazy about being in pairs, so when a molecular bond splits in a way that leaves an atom with an unpaired electron, watch out. A free radical has just been born and without another electron to balance it out, it’s unstable and highly reactive. Desperate to stabilize itself, it will attack the first stable molecule it comes into contact with, stealing its electron and starting a chain reaction known as oxidative stress (the unchecked production of free radicals). What do free radicals do to the body? Are free radicals really ALL bad though? Even The Free Radicals could produce some good music if they got their act together, and it’s the same for atoms with unpaired electrons—you just gotta get along with others and keep the rules. The ability to turn the food we eat and the air we breathe into the energy we need to survive is entirely dependent on the chain reactions of free radicals, making it an essential process of life. Free radicals also contribute to the immune system by helping to break down foreign viruses and bacteria as well as nullify toxins and waste. But like so many other things, they serve us best in moderation. What contributes to the excess production of free radicals? Free radicals are the natural byproducts of the chemical reactions that create energy (metabolism), but their production is also spurred on by some factors within our control: fried foods, alcohol, air pollutants (including tobacco smoke), and pesticides. Many of these things can’t be avoided completely, but there’s a way to curb the onslaught of free radicals within our body: consume those antioxidants! How do antioxidants control free radicals? Antioxidants are able to balance out free radicals without becoming destabilized themselves, effectively ending the chain of free radical production. The clean-up crew for your cells, they are found in abundance in fruits and veggies (the more colorful the better) in the form of beta-carotene, carotenoids, lutein, resveratrol, vitamins C and E, and lycopene, to name a few. While the body produces its own forms of antioxidants (endogenous antioxidants), it’s not enough to combat the level of free radicals the average person experiences. In addition to incorporating antioxidant-rich foods into your diet, you can also take antioxidant supplements to help keep those unruly free radicals in line.